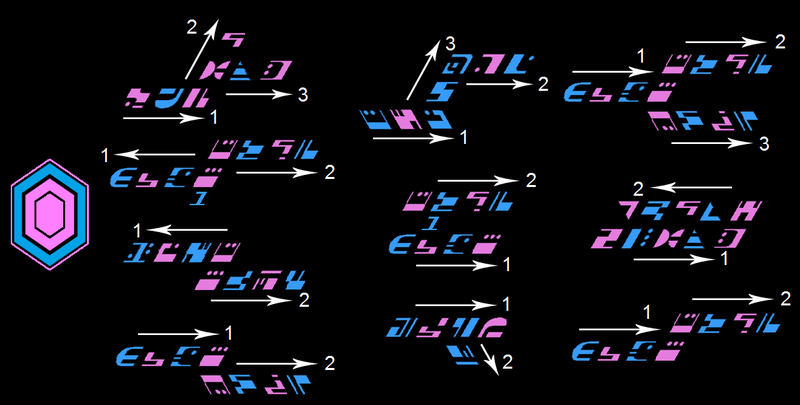 In part one I discussed how Ferengi writing works in relation to mapping the spoken word to symbols. In this section, we will look at how those words are put together to make coherent texts. 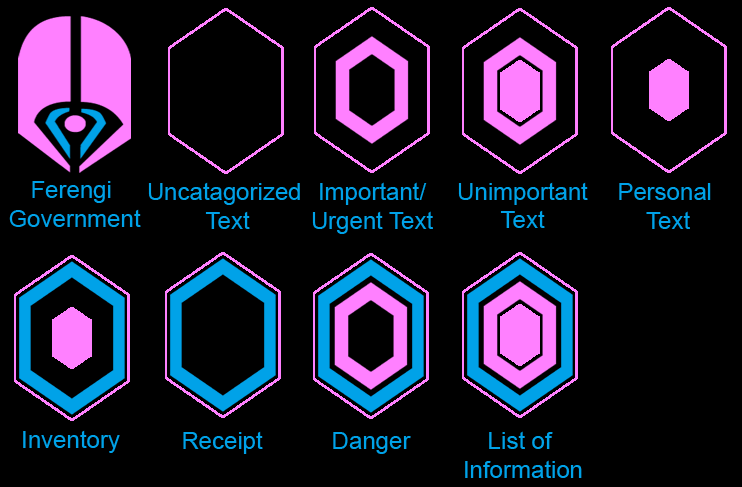 Not all Ferengi text has a central hexagon; some texts simply have a line of text serving as a title in the centre. Labels generally consist of one line of text, read right to left, or two lines on top of each other, radiating from the centre line, the topmost read first. The direction of Ferengi writing is dependent whether or not text is radiating from one or both sides of a centre point. 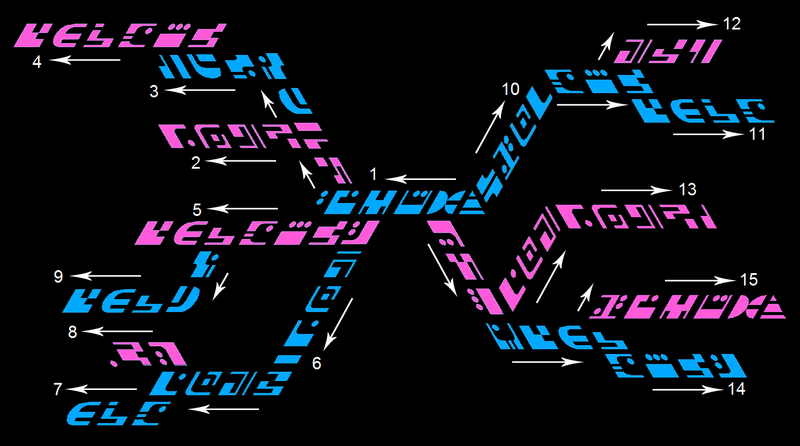 Where text radiates from a central point in two distinct blocks, the text on the left side of the centre point will be read first, starting approximately from the top, reading outwards to the left and downwards. Most lines of text are read away from the centre, however some lines, radiating off a primary sentence, are read towards the centre (within the grammar of the Ferengi language, they are usually the objects of a sentence). On the opposite side of the centre point, text is read in the opposite direction. Part 3 (Which hopefully won't take as long to publish), will deal with the numbers. I've been absent for quite a while now, I know. I'm sorry! However, I am back now. So in due course, I'll continue the Ferengi language data today and then on from there.